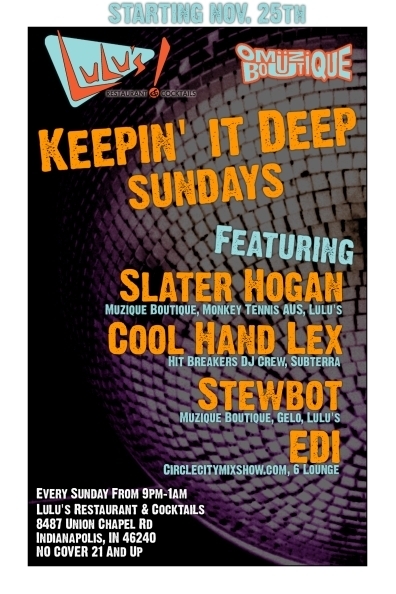 This Sunday I’ll play at Keepin’ It Deep, one of Indy’s best known weekly electronic weeklies, which recently revived at Lulu’s on the North side. 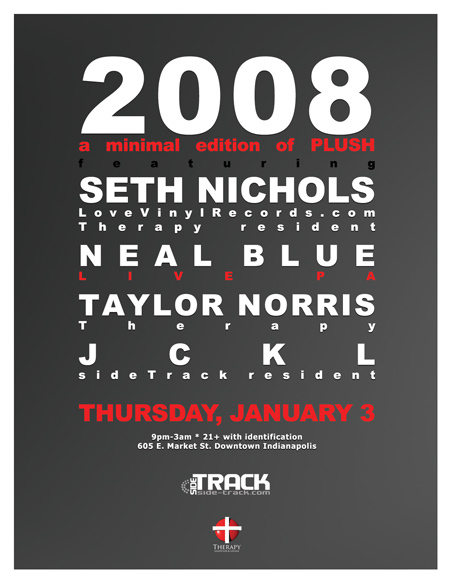 To celebrate the new year, sideTrack will start it off right with an all minimal night, featuring Seth Nichols, one of Indy’s finest DJs and electronic music experts (he does run a nicely sized record store called Love Vinyl Records, after all), plus Neal Blue will perform a live pa on the Roland 505 and 808. I’ll be tagging records to open and close the night with Taylor Norris. Camel presents “Glam for the Holidays” @ Therapy Nightclub w/ DJ Shortee and Deanne! I don’t have a flyer image for this one, but I’ll be spinning on Thursday, December 13 @ Therapy Nightclub for a special VIP event with DJ Shortee from Hollywood and DJ Deanne from Talbott Street! 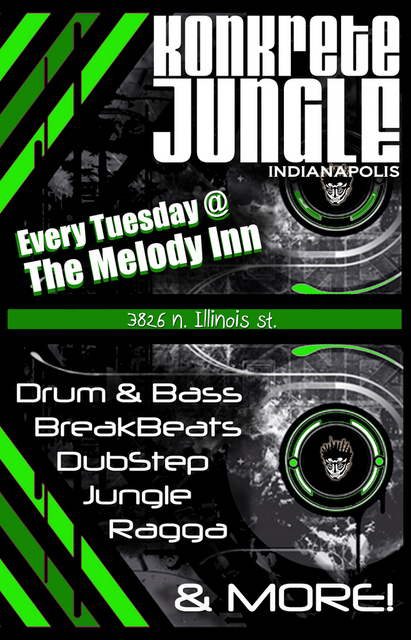 I’ll be spinning a different style at this Konkrete Jungle event — most likely dance rock and gritty electro breaky stuff! No flyer yet that I know of, but here’s a visual for you.